The Tiwala is a sleek fiberglass pedicure spa that features a beautiful glass sink bowl. This sharp and stylish spa will add a touch of modernity and grace to your salon. The Tiwala is acetone-resistant and includes a protective gel-coating that guards the spa and sink from rust and corrosion. The Tiwala features removable side panels, an adjustable footrest, polished chrome hardware, stainless steel shower hose, built-in LED color therapy light, FREE matching pedicure stool. 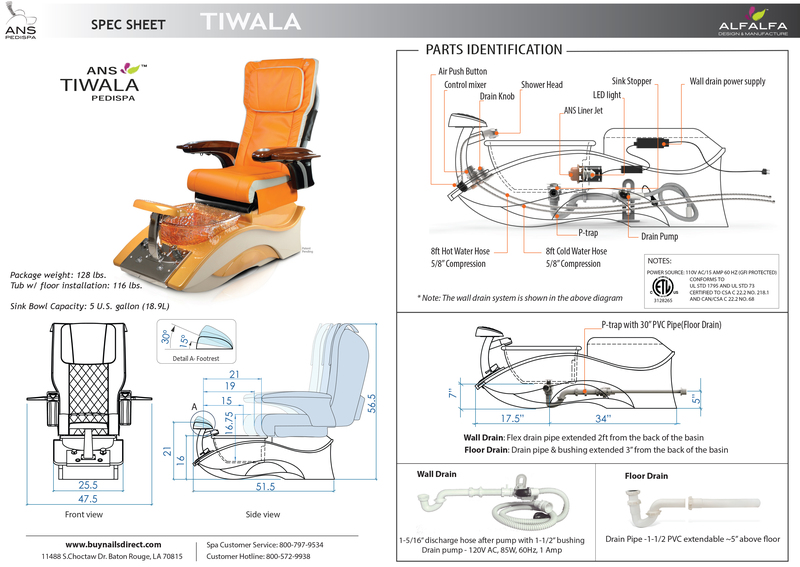 The Tiwala also includes a premium massage chair of your choice. The Tiwala is available in two color choices to match the style of your salon. Choose from Golden Brown or Beige. You will earn 2250 Points for purchasing this product. The stunning and sleek Tiwala Pedicure Spa is available in a cream or white base. Each Tiwala is made with quality fiberglass components and comes equipped with a beautiful glass sink bowl. This elegant fiberglass pedicure spa is designed and assembled in the USA. It’s ETL-certified for safety and is carefully tested by trained technicians before leaving our location. Glass sink bowls are available in your choice of Gold, Nickel and Crystal. 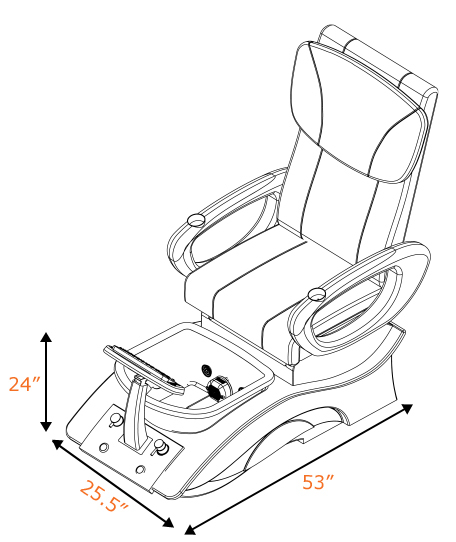 Each Tiwala includes a genuine Human Touch Massage Chair. Human Touch massage chairs come in a variety of colors and are made with soft, marine-grade leather.